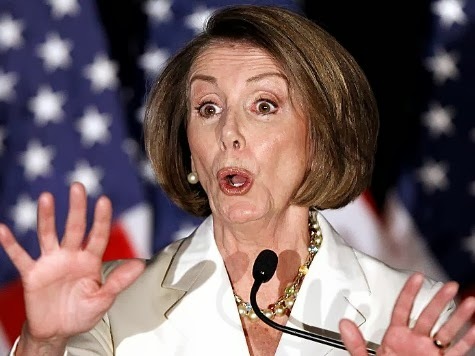 Alexa Shrugged: Pelosi: "We did not treat President Bush this way." Yeah, it was worse! Pelosi: "We did not treat President Bush this way." Yeah, it was worse! To quote Nancy Pelosi herself, "Are you serious? Are you serious??!!" Great response by Revealing Politics to Pelosi (video below) showing that she's right, they did not treat Bush the same way as Obama is being treated - it was much worse! There was even a word for it - Bush Derangement Syndrome. Hey, Nancy, do you remember when you called President Bush a "total failure?" Do you think the right could get away with saying of Obama "he has no ideas," like you said of Bush, without being accused of racism? How about your counterpart in the Senate, Harry Reid who said Bush is a "weak president." Can conservatives get away with saying of Obama, "We all know his swagger and his arrogance?" Nope, we don't! Because apparently arrogant is a racist code word. And I can only imagine what they'd say if we used the word "swagger." Watch the video for more examples of liberals' extreme rhetoric towards Bush.